I am so happy I chose Rebecca as my realtor! She is one of the sweetest people I know. She is extremely knowledgeable about real estate, the laws that apply and the North Texas area. She works hard for your business, but is not pushy at all. She will work evenings and weekends to accommodate your schedule. You won't find a better realtor! If you are conservative with money like I am, know that Rebecca charges less than the other realtors but works just as hard, if not harder. We loved working with Rebecca! Rebecca is thorough and attentive. She provided us an honest and realistic expectation for the listing and selling of our former home. She told us exactly what we needed to do in order to be successful for the sale of our home. Our home sold within days of being put on the market and negotiated so that we received top dollar for our home. The buying and selling of your home is a path to take with an experienced and knowledgeable realtor. Rebecca and her company have the expertise for a successful, smooth buying or selling experience. Rebecca Cucovatz did an outstanding job for me. She was always available and answered my questions quickly. One Plus Realty was very affordable saving me thousands of dollars. Look no further than Rebecca Cucovatz and her team at One Plus Realty. I am a retired real estate broker so I should know service when I experience it. As a first time home buyer, I found the team of Rebecca, Dan and Kim to be absolutely invaluable. There are so many questions and concerns one has as a home buyer and all of mine were addressed very promptly, at almost any time of day by phone or email. They were very patient, courteous, friendly, and extremely professional. 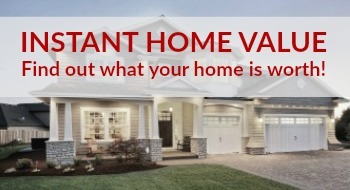 The team at One Plus Realty also helped me find good inspectors and home warranty companies. All in all, my home buying experience went off very smoothly. 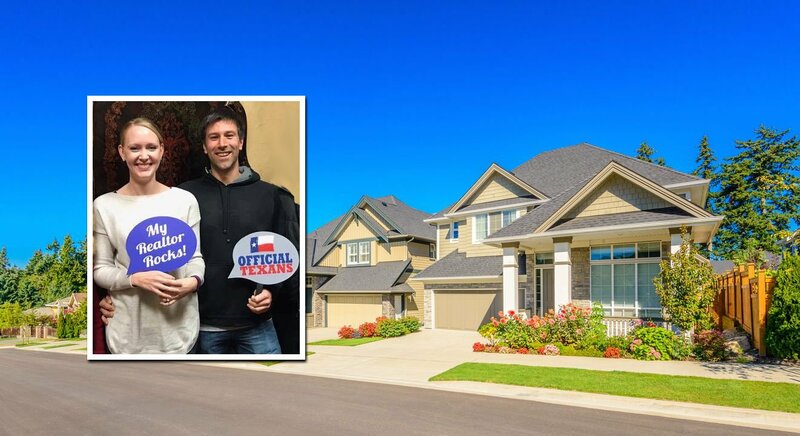 I highly recommend the team at One Plus Realty to anyone in the market for a home in the Dallas Fort Worth area regardless of whether they are first time home buyers or experienced home buyers. I had been unemployed for 8 months and I had not received any offers after 34 viewings under the listing I had. I was facing foreclosure and a devastating end to the worst year in my life. I was very lucky that I opened a letter from Rebecca Cucovatz with One Plus Realty. I gave it a shot and called her. Three weeks later, I was closing on the sale of the house, and able to move to Austin to start a new job without this hanging over me. I can honestly say that Rebecca was a life saver and handled my situation and the sale of the house very quickly and very professionally. She took care of everything and I could focus on my relocation. I would work with her again, and recommend her to anyone that wants a professional Realtor working on their behalf. Dan Hultman provided outstanding service as we looked for our home. We had a specific set of needs and wants for our new home, and Dan patiently and effectively found listings that matched these requirements. He never complained about showing us the same house more than once. We now have the perfect home for us - thanks to Dan. We recommend him without reservation! Rebecca Cucovatz of One Plus Realty was a LIFE saver for me and my wife. She was able to sell our home in a timely manner when other real estate agents could not! She was very pleasant, knowledgeable and attentive to our situation. We owe her and her team a debt of gratitude. One Plus Realty went above & beyond to assist with the sale of my home. The One Plus Team has an outstanding ability to take care of every detail to make things flow smoothly. I would recommend One Plus to anyone I know buying or selling a home.Thanks One Plus! I want to thank everyone at One Plus Realty, especially you Rebecca, for helping me sell my house so quickly. I put my house on the market in the fall of 2006, it did not sell. So I called Rebecca at One Plus Realty. She came out, and I asked her, what can I do to sell this house. She made one suggestion paint the whole house inside a tan color. I took her suggestion very seriously and acted on it. Early spring I called her to put the house back on the market, and within two weeks I had a buyer. We negotiated with the buyer, and we had a contract. Later we closed and it was like a walk in the park. I highly recommend One Plus Realty, for their professionalism and their confidence in marketing houses. Take their suggestions and act on them, and have patience, something I was short of, but Rebecca reassured me that everything was going well. They always kept flyers in the box, and any changes you wanted to make in advertising or whatever, they were happy to do. I will certainly recommend this company to my friends and call upon them again in the future. We graciously wrote this testimony on behalf of Rebecca Cucovatz for an excellent job she has done for us. First she was able to find a renter for our house in East Plano at the maximum price we wanted. That was fortunate because it happened at the last day of listing when we already lost hope of getting the house being rented. Second, she sold our house in West Plano in record time compared to the neighboring properties listed ahead of us. We feel that her success can be attributed to her hard work, professionalism, and courtesy to her client and customer alike. We highly recommend Rebecca to anyone looking to buy, sell, or rent a house. Dan was a real trooper. He was tireless in showing us houses. And had the patience of a saint in putting up with our constant hunt for a bargain deal. He showed us like a zillion houses...We do recommend One Plus Realty to anyone we talk to who is thinking of buying a house. And we will continue to do so. We thing of you folks fondly and in the highest regard. "Rebecca is thorough and attentive. She provided us an honest and realistic expectation for the listing and selling of our former home. She told us ... more "
"I was a Realtor for five years and I know how 99 per cent of them are, some better than others. Rebecca is in the ONE per cent, Rebecca goes the ... more "
One Plus Realty went above & beyond to assist with the sale of my home. The One Plus Team has an outstanding ability to take care of every detail to make things flow smoothly. I would recommend One Plus to anyone I know buying or selling a home. Thanks One Plus! I want to thank everyone at One Plus Realty, especially you Rebecca, for helping me sell my house so quickly. I put my house on the market in the fall of 2006, it did not sell. So I called Rebecca at One Plus Realty. She came out, and I asked her, what can I do to sell this house. She made one suggestion paint the whole house inside a tan color. I took her suggestion very seriously and acted on it. Early spring I called her to put the house back on the market, and within two weeks I had a buyer. We negotiated with the buyer, and we had a contract. Later we closed and it was like a walk in the park. I highly recommend One Plus Realty, for their professionalism and their confidence in marketing houses. Take their suggestions and act on them, and have patience, something I was short of, but Rebecca reassured me that everything was going well. They always kept flyers in the box, and any changes you wanted to make in advertising or whatever, they were happy to do. I will certainly recommend this company to my friends and call upon them again in the future.